When it comes to Face Oils, we are spoilt for choice. Whilst various oils have a multitude of benefits, the perfect face oil will complement your skin type and lifestyle. What should we be looking for on the ingredients label of a face oil? Botanical oils that are rich in natural vitamins such as Avocado, Calendula and Camelia plant oils. These oils also work in harmony with the skin, so their nutrients are easily absorbed and instead of increasing, they balance the skins natural oils. If the ingredients are unclear is there a smell that we should be looking for to help? Two smells to avoid, synthetic fragrances and rancidity. Synthetic fragrances don’t work in harmony with plant oils, and rancidity occurs because natural plant oils can oxidise quickly if they are not carefully stabilised. At Sodashi we use a pure Vitamin E, as this stabilises the oil and also has a brilliant anti-ageing effect on the skin. What oils are best for the following skin types? People often underestimate the potency of botanical oils. I never recommend using singular plant oils on the skin, instead find a pure face serum/oil that is a blend of several plant oil ingredients. Each plant oil, such as Apricot Kernel, Calendula, Avocado Oils, to name a few, has its own nutrient value including vitamins, minerals and essential fatty acids. Plant oils should be blended in careful ratios to ensure the skin absorbs the botanical nutrients. 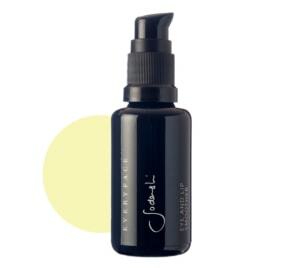 A perfectly blended face serum/oil will balance, revitalise and give a youthful glow to the skin. The Sodashi range offers a perfectly blended face oil for all skin types: Balancing for oily, combination and normal skin types; Calming Serum for sensitive and irritated skin types; and Rejuvenating Serum for mature and dry skins. ​ Do we need to think about what’s going on the skin after the oil as well? Should we be using different face oils for AM and PM? Because pure, natural oils help to harmonise the skin I like to use only a Sodashi serum at night. If my skin is particularly dry, or often in winter, I will also press a few drops of serum on to my skin in the morning, under my moisturiser. What are some red flag ingredients we should be on the lookout for when shopping for face oils? 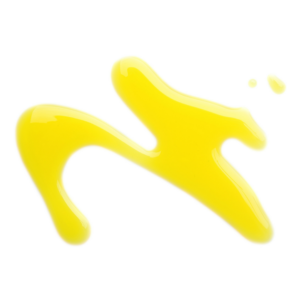 Solvents such as propylene glycol, silicones and silicone based polymers like dimethicone, these synthetic ingredients are often found in face oils and serums. These ingredients are not natural and are reported to create skin sensitivities. The key to an effective face oil is not about the length of the list of ingredients but rather having the right mix of natural ingredients to create a synergy that works to support, balance and repair the skin.